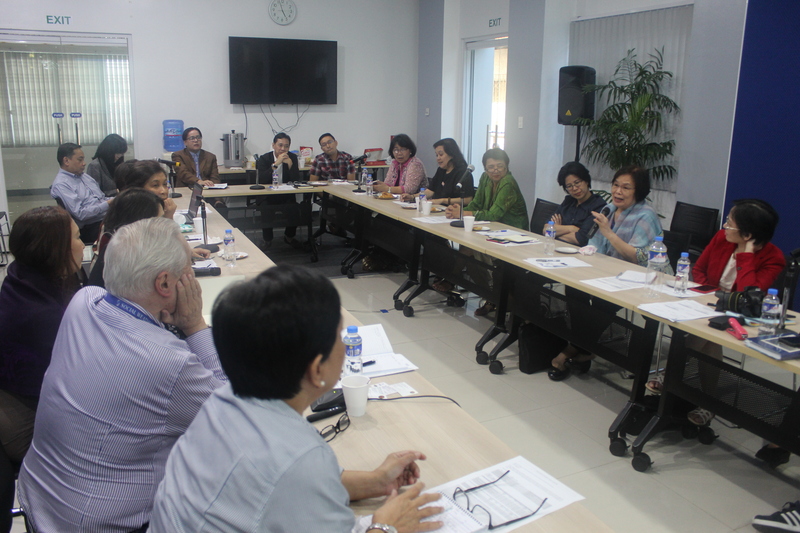 07 February 2019, Quezon City, PhilippinesꟷUP-CIFAL Philippines, in partnership with the Philippine-American Academy of Science and Engineering (PAASE) and social research institution Social Weather Stations (SWS), organized a meeting with around 20 experts on how to effectively communicate science to the public. The meeting was spurred by the negative perceptions of the public on science based on various surveys conducted by SWS from the 1990s to 2000s. As an academy that promotes science, engineering and technology, PAASE aims to determine where to position itself on improving science communication, especially to the younger people and the decision makers. PAASE President Dr. Kathleen Aviso recommended having a program similar to the ASEAN Foundation Science and Technology Fellowship, where scientists are immersed in government agencies within their home countries for one year to help the government advance scientific approaches in policy making. Other experts suggested linking with the industry in developing a product or technology, targeting the public to develop a “science thinking” instead of encouraging everyone to go into a science career, and having a spokesperson who can make science engaging and interesting for the general audience. Apart from using mainstream platforms of communication such as television, radio, and comics, communication experts proposed producing sci-flicks or series of short stories about science, showing web series in provincial buses, and strengthening community-based journalism.